Mortgage fraud cases will often involve multiple parties, commercial banking and complex financial arrangements. In complex disputes, success often depends on providing the most compelling evidence that your clients followed state and federal regulations in accordance with former legal precedents. In the evolving world of real estate and complex lending, it can be difficult to keep up. An expert witness can provide the knowledge and testimony you need to successfully resolve your case, and the Law Offices of Steven Gourley is your source for this service. We have more than 30 years of experience in the Torrance, CA area real estate industry. 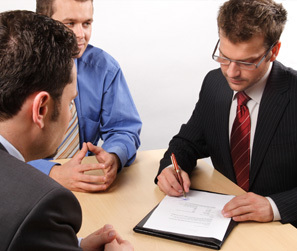 We routinely assist other attorneys as co-counsel and with expert witness responsibilities in mortgage and lending disputes. Our team serves as a go-to resource and advisor in mortgage and business litigation cases. Mortgage fraud and sub-prime mortgage disputes. Mortgage disputes involve misstatements, misrepresentation or omissions to fraudulently obtain or sell a loan. Commercial hard money lending/equity lending. Commercial or equity lending involves a loan where the borrower takes money. Fraud may occur when money is loaned up front and the borrower misrepresented income or assets. Lending liability. Brokers, lending companies and other parties can be held liable for fraud. An expert witness can testify on issues of regulation, industry standards and compliance with California law codes. Brokers and brokerage agencies. Real estate brokers have a number of duties to ensure compliance and to maintain a license. Brokers can be held liable for failure to perform services including failure to disclose, self-dealing and breach of ethics. Mortgage brokerage companies can also be held liable for improper supervision of agent. With more than three decades of experience, we understand that achieving results requires advanced planning, strategy and experience. We employ years of experience in the real estate industry to help you navigate your case and provide invaluable expert witness testimony from initial investigations and the discovery process through trial. An expert witness who is familiar with all the complexities of real estate law will offer you leverage, whether negotiating a settlement or presenting your case to a jury. For more information about mortgage fraud or to learn more about our expert witness testimony services, call the Law Offices of Steven Gourley at 424.286.9246 or contact us online. Our firm serves clients in Los Angeles, Torrance, and throughout the state of California.